Thankfully, there are metrics you can track to keep an eye on which tactics are achieving results and which will need improvement. Keep in mind that in order to get accurate results, you’ll need to track and measure several metrics – not just one or two. Tracking keyword ranking can provide a variety of insights into your SEO strategy. You can see how your keyword ranking has changed over time and if you need to be targeting less competitive keywords. 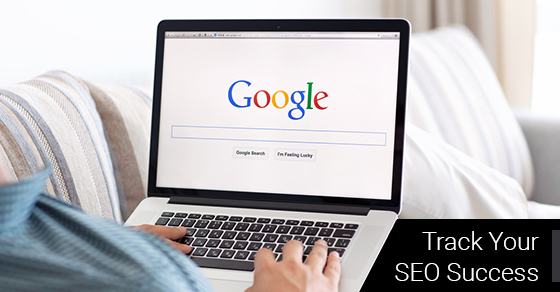 One of the main benefits of adopting an SEO strategy is to gain organic traffic. Tracking and measuring organic traffic is one of the most important ways to ensure your SEO tactics are garnering results. It’s important to also keep in mind that organic traffic will fluctuate over time, however if the results are overall positive then your SEO efforts are successful. A major aspect of your SEO strategy should be acquiring backlinks. It’s important to track and measure how many links you get for a single post or page, for example. You should also track the source to monitor the quality of each link. This can help you to enhance your link building strategy. A website with a high bounce rate could mean that you’re not attracting the right kind of users. This could mean that you need to revise your SEO strategy to target better keywords. This could also mean that users aren’t finding what they’re looking for on your website and choosing a different result in the SERP. Your digital marketing strategy should be working towards measurable and quantifiable goals. However, if you’re attracting traffic that isn’t converting, you’ll need to revise your SEO efforts. Tracking the above metrics will help you to get the most out of your SEO strategy – however, these aren’t the only metrics. Traffic referrals, time on page, new and returning users, indexed pages and ROI will help you see whether or not your SEO strategy is producing results. By tracking and measuring your SEO efforts, you’ll be able to more quickly reach your goals, increase your leads, and boost conversions.